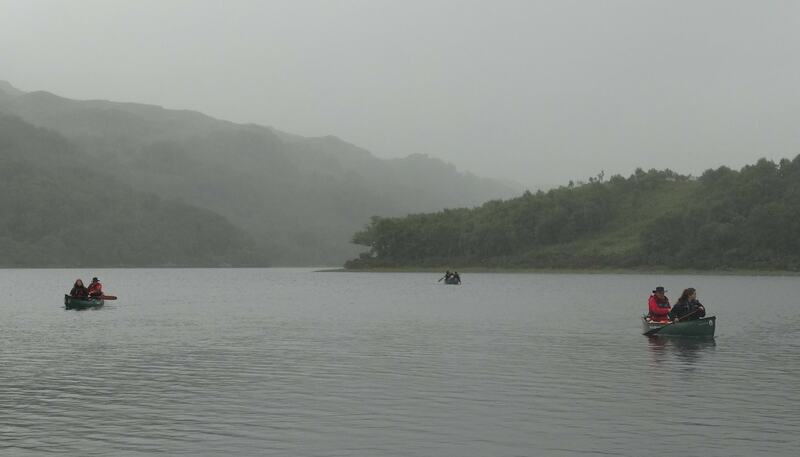 Whilst canoeing up the sea loch towards Kinlochmoidart, the sun shone for a few moments; we were happy to have successfully completed the expedition, but also very sad it was over. 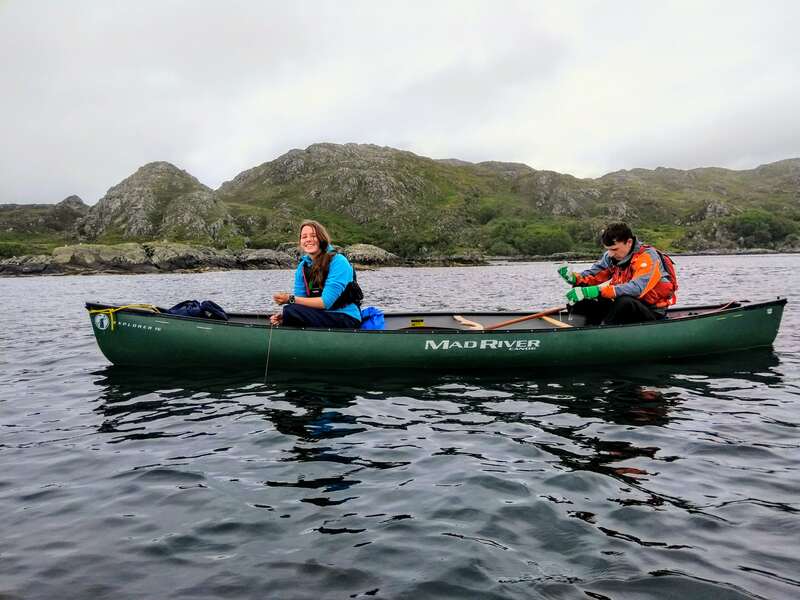 The moment of sunshine made the week of paddling in strong head winds to finish the last section of the 48km of Loch Shiel and Loch Moidart worthwhile. 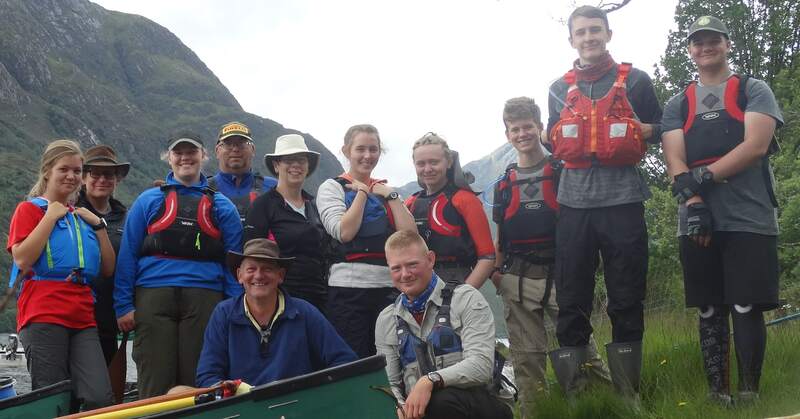 The aim of the expedition were to bring a group of Cadets, from their normal life and introduce them to self-sufficient wilderness living. To do this, we planned a trip using Open Canoes as a means of transport and wild camping as our accommodation. We began at Glenfinnan where Bonnie Prince Charlie raised the Jacobite standard and rallied his clansmen for battle. Our route followed the stunning Loch Shiel, veiled by steep mountains and abundant in wildlife and onto the River Shiel. 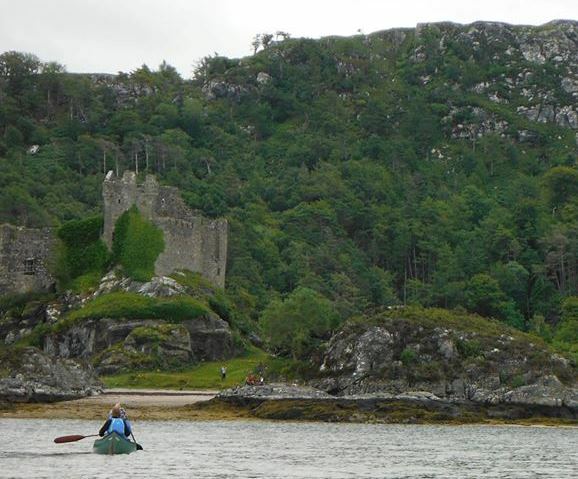 From there, we headed to the sea at Loch Moidart to explore the coastal environment and the abandoned castle Tioram. The group met in the evening of the first day after travelling from various parts of southern England. After an excellent dinner, we chatted about the plan for the week and any personal skills and experiences the Cadets wished to include. 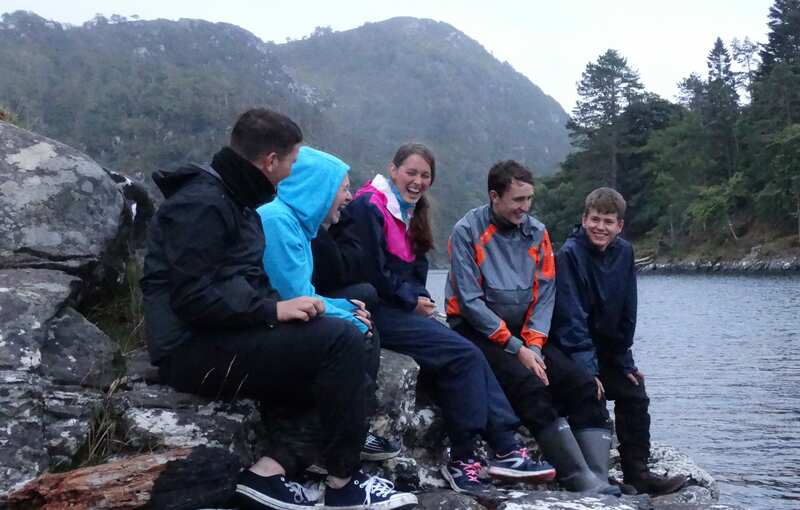 Those on the expedition would agree that the weather provided some challenging conditions over the next few days. 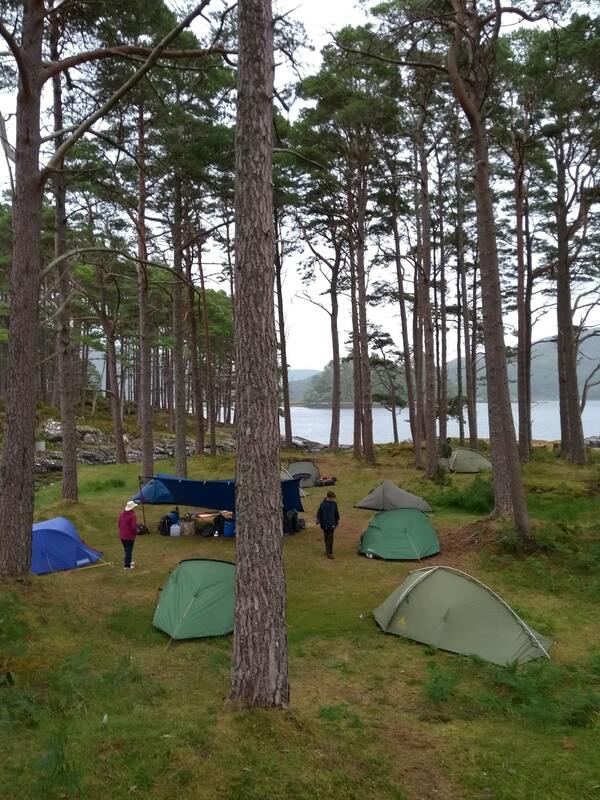 We were camp bound on day two, and even when we got up early to avoid the afternoon wind conditions, we had to work really hard to make headway down the loch and set up camp. However, the weather only helped to strengthen our teamwork ethos. 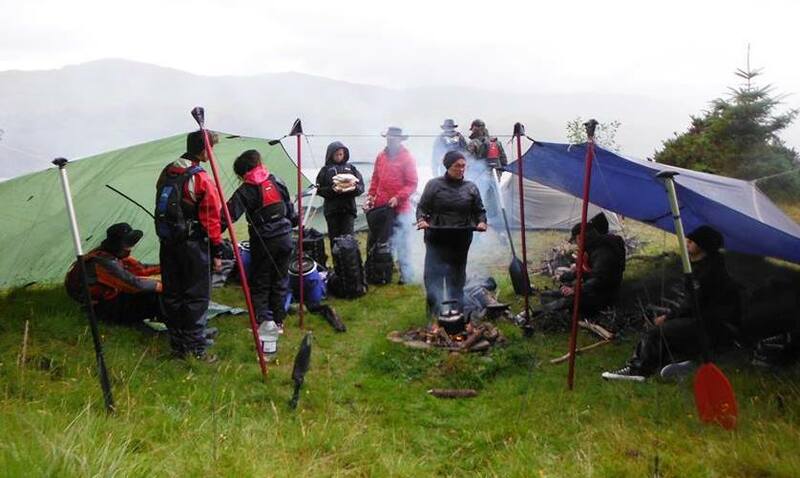 With gentle guidance from the leaders the team soon picked up the challenge of sorting the camp jobs and quickly rallied around to get the fire on, erect tarp shelters and get dinner started – whilst others gathered firewood. Whilst we took a stove and gas as a backup, we cooked for the whole week on open fires using foraged wood. Someone even came up with a handy reminder, ‘if you go for a wee bring back a tree, if you go for a poo bring back two’! This stuck through the whole week and we had no shortage of firewood. During our short visit to Scotland we saw many animals including seals, sea eagles, heron, deer and unidentified huge jumping fish. 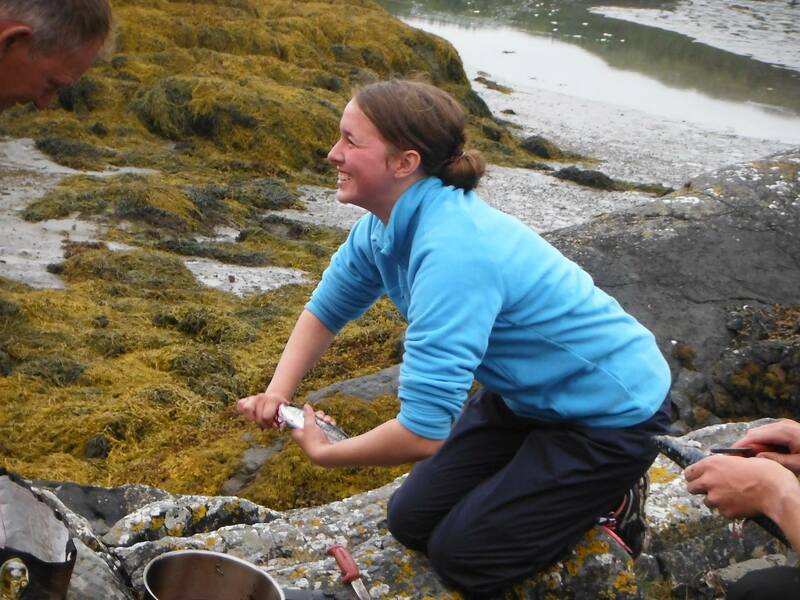 The group investigated rock pools, identifying seaweeds, crabs, langoustines, shrimp, sea anemones and the remains of urchins and whelk egg cases, which we tried to persuade one team member was a zombie brain! We also encountered countless midge swarms and a multitude of tiny ticks, of which, we collected specimens on behalf of Public Health England as part of their nationwide Tick surveillance scheme. A real highlight was catching fish for supper, with shouts of excitement from various canoe teams identifing who had reeled in their first catch. All the boats caught fish for supper, despite the best efforts of the local seal population who were only too happy to take our fish before we could pull them in. It was also really nice to see adults, who were on the expedition for the first time, taking real benefit from the experience. The expedition was organised by the Southern Area Paddlesport Team, with support from Southern Area office. The whole expedition is very grateful to the Ulysses Trust for helping with funding to enable the expedition to run, and to Lt (SCC) Monty Smedley RNR for organising the transport and permissions. Report written by the expedition team: CFC Butler (Salisbury), OC Hiscock (Salisbury), AC Lane (Warsash), AC Martin (Southampton), AC Parsons (Dartford), LC Talbot (Reading), OC Tanner (Medway Towns), Sgt Jackson (Salisbury), CI Mackley (Gravesend); led by CPO Adams (Warsash), PO Best (Abingdon) and CI Butler (Salisbury). After gutting and cleaning out the fish, it’s time to pull its head off!